Hello my name is Jen Wilson and I offer Chemistry, Biology and Human Biology tuition at Higher, Advanced Higher and National 5 Levels and occasionally at GCSE and A Level. Biology, Chemistry and Human Biology. 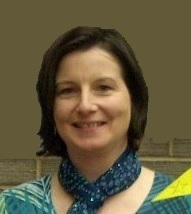 I am based in Milngavie in the north of Glasgow and also tutor online via Skype. Typically I work from my own home but I can sometimes visit your home, it just depends on my schedule. And also I tutor via Skype which works if you are in a remote location. Full General Teaching Council for Scotland Registration achieved. I am a member of the PVG Scheme in respect of children. Tutoring is £35 for an hour at National 5 or Higher and £40 for an hour at Advanced Higher. Tutoring can be arranged on a weekly basis or can be on a one-off basis. I also offer tutoring via Skype if you are situated in a remote location and are not available to come to Milngavie or live local to Milngavie. I worked as a science teacher for Strathclyde Regional Council in East Dunbartonshire, Glasgow and Renfrewshire and have worked as a science tutor for 25 years. I have also worked for a charity tutoring organisation in Glasgow. videos of experiments from the particular course etc. Many of these resources are listed on this website. I also make full use of Past Papers and will set appropriate homework if requested. I have worked in Computer Based Teaching and Learning at Dundee University and Ninewells Hospital, Dundee in the Medical Physics and Biochemical Medicine Departments for the Teaching and Learning Technology Programme TLTP and the Information Technology Training Initiative ITTI. I was a finalist in the highly competitive "European Academic Software Awards" EASA in 1998 with my project to teach x-ray safety via Computer Based Learning, CALRAD. I have worked as a presenter for the European Union for the MIDAS-Net Project - providing training in the use of Databases for Small and Medium Enterprises and Librarians. I have also been a volunteer with Glasgow Science Festival. The links listed here will help you by listing online videos, animations and interactive learning materials for each of the Scottish Chemistry and Biology examinations at National 5, Int 2, Higher Grade, and Advanced Higher. The links are relevant and more importantly, you will hopefully find them interesting ! Also iGCSE and A Level exams can be offered. Good Luck with your Biology and Chemistry courses this year. I hope you enjoy them and find them useful and interesting. If you would like any tutoring please telephone me at 0141 956 4358 or email me at milngavietutors@gmail.com I tutor in Milngavie, Bearsden and the northern Glasgow area. I also do Online Tutoring via Skype - useful if you live in a remote location eg Highlands and Islands. The online tuition works remarkably well and is almost as good as more conventional tuition. Any Biology and Chemistry questions ? If you are really stuck with a revision question then please email me at milngavietutors@gmail.com and I will see if I can send you an answer. Or let us know if you have found any useful biology or chemistry links on the internet - maybe I can add them to our lists or resources here.